A powerful moment of musical history recreated: Brahms’ German Requiem, played in the same place in which it premiered exactly 150 years earlier. 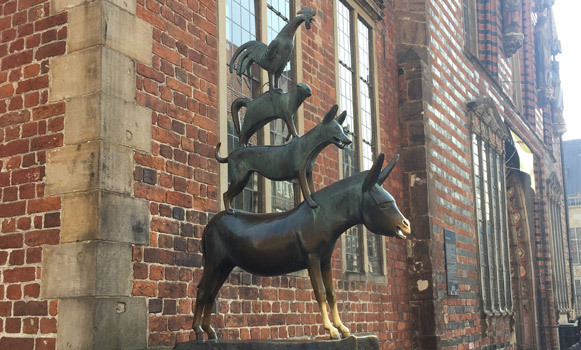 Maddy Shaw Roberts reports from Bremen. There’s something quite moving about sitting in that bubble of pre-concert anticipation, knowing that the last time anyone heard this music in this place was when the composer himself conducted it at the premiere. 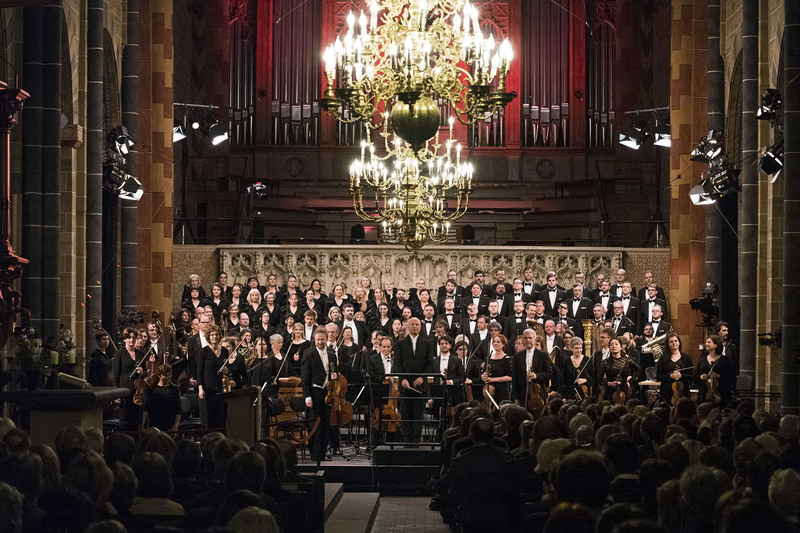 Last week, Paavo Järvi was in Bremen Cathedral to conduct the Deutsche Kammerphilharmonie Bremen and the Latvian State Choir in a performance of A German Requiem – the piece that Brahms had conducted in the very same cathedral 150 years ago. “I’ve always loved this piece,” said Järvi, “not because I liked it at the beginning as a piece of music – but because when I was five years old, my father [Neeme Järvi, also a famous conductor] was listening to it, and he turned to me and said, ‘This is the greatest piece ever written’. “And to me, it didn’t sound like the greatest piece ever written – because for a five year old, it’s heavy. But as you get older, you start to understand the beauty of it, and the sense of depth that Brahms somehow manages to convey even though he was only 35 years old when he wrote it. So, what’s the German Requiem all about? Like most requiems, Brahms’ epic choral composition was a musical response to the death of a loved one: his mother, Johanna, who passed away in 1865. But there was someone else, too. Eleven years earlier, Brahms started composing the Requiem, but stopped when his best friend and fellow composer Robert Schumann tried to commit suicide. He died two years later – and Brahms said that his composition really ‘belonged to Schumann’. > Why was Brahms’ Requiem called a ‘German’ Requiem? “We always have this idea that Requiems are a mass for the dead. In a way, that’s what they’re supposed to be, but in this particular case, I think it’s a mass for the living,” said Järvi. “It’s interesting that one appearance of an angelic female voice changes the DNA of the whole piece, bringing a moment of enormous intimacy,” said Järvi. Why was the Requiem performed in Bremen? But it’s also a very small, north German town – and unlike Hamburg or Berlin, it has no big concert hall, just a humble cathedral. “The good thing about [holding the performance here] is that a lot of the citizens of Bremen came to the concert who ordinarily wouldn’t come – because it was a sense of occasion they wanted to witness,” said Järvi. Paavo Järvi and the Deutsche Kammerphilharmonie Bremen will continue their Brahms cycle on 13 June 2018 at the Philharmonie Luxembourg, with Brahms’ Double Concerto and his Symphony No. 2. Click here to find out more.